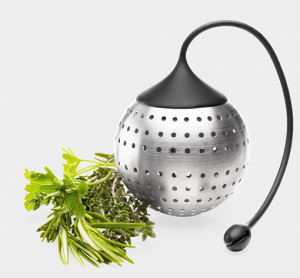 Provide your favorite foodie with an easy way to add flavor to soups, sauces, stews and more with this spice infuser from the Museum of Modern Art Store. This device cannot be found on the web, neither via MOMA’s direct site nor yours. Did the NYT [11/9/11] piece about it make it so unavailable? I’m hoping I can still find it to give as a Xmas gift to my burgeoning amateur chef son, Ben Clauss whose business is at justfloorplans.com. Oh, sad! This is no longer in stock and won’t be available again until January 20th. That’s actually something I would use!